I thought the Stones were done releasing new tunes. I thought they were simply generating their millions playing the old ones over and over again. But no, I heard a new one on the radio today, "Doom & Gloom." Not bad at all. I was a little late today. Couldn't get my act together fast enough. I was absorbed in my puzzle and my coffee. But I was on the airwaves rolling by a few minutes after 10:00. I was up late last night watching the Tigers beat the Yankees. They took a four-run lead into the ninth, and then the Yanks got two two-run home runs off Valverde (one by one of my favorite players, Ichiro Suzuki... what's he doing on the Yankees?) and the score was tied. But the Tigers came back in the twelfth to take the game. 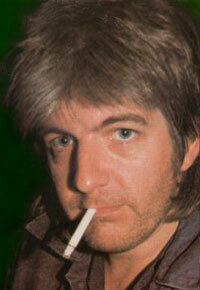 Today's theme was Nick Lowe: old stuff, new stuff, but all of it great stuff. Tunes like "House for Sale"
Whatever's happened to my happy home? I'm leaving like I'm getting out of jail. How about "Lately I've Let Things Slide"
I could go on, but I'll spare you. Two versions of "Lullaby of the Leaves," one by Benny Goodman with a nice piano solo by Teddy Wilson, and another by Ella Fitzgerald, very lush. 27. Sonny Stitt – Where is Love? 31. Nick Lowe – What’s so Funny About Peace, Love and Understanding?